It’s almost that time again…the time of the year when men all over the globe unite to grow facial fur in support of their favourite charities. And what better way to celebrate than by dedicating an entire blog to the cause! So, whether you’re a Movember rookie or a seasoned moustachio aficionado, read on for some brilliant products and tips to help you grow the perfect mo’ this November. Some men choose to grow wild, untamed ‘taches, while others prefer to style theirs to casual perfection. There are tonnes of moustache styles out there, from the handlebar and the horseshoe to the Super Mario and the Salvador Dali. Whichever style you prefer, this handy book is full of tips to help you create an unforgettable look that’s sure to turn heads! Who said that only men can take part in Movember? With Grow Your Own Mo, women can get involved too! Simply place your chosen style of moustache in water and watch it grow to up to 6 times its original size. They’re perfect for guys who struggle to grow a full moustache too! So you’ve chosen your favourite moustache, now it’s time to get the tools to create the style! Not only does the Babyliss 8-in-1 groomer allow you to trim your moustache to the ideal length, but it also lets you get rid of your beard to give prominence to your moustache. Plus, you can use the kit on your body too, giving you a product that can be used throughout the year, not just in November. Can’t grow a moustache? Or don’t have the patience to grow one? Don’t worry, as this convenient pack of emergency moustaches are here to help you out! Simply choose your favourite style and stick it to your upper lip whenever the situation calls for a moustache. This is one for all the ladies who want to get involved with Movember. Obviously you can’t grow a moustache, so why not show your appreciation for the cause with a moustache necklace? At just £11.99, they’re an absolute bargain! 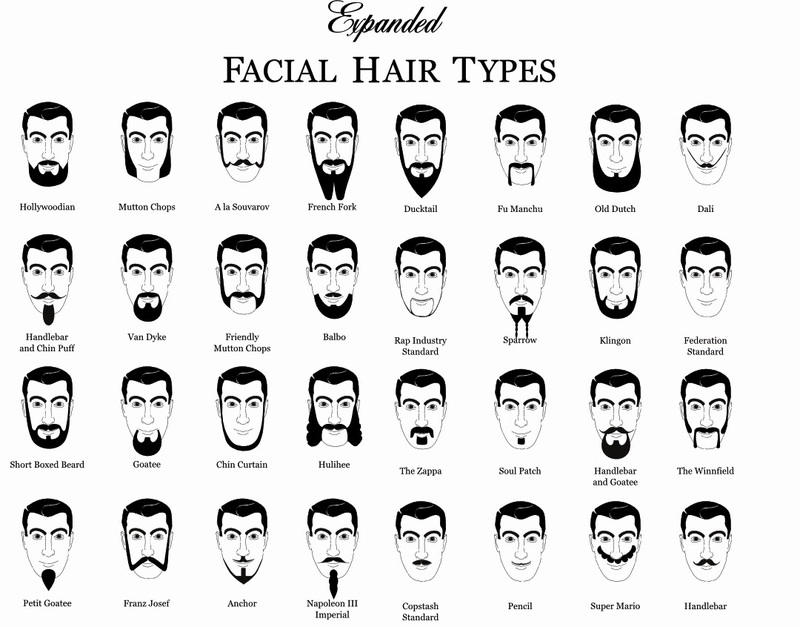 …and for those of you that are still unsure which style of moustache to go for, why not check out this handy facial hair chart! Christmas Specials: Deals Too Good To Miss! Top 10 Personalised Christmas Ideas!